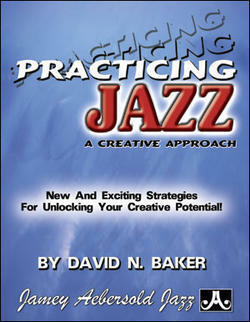 A much heralded jazz practice method from leading educator/performer David Baker. David condenses a wealth of experience and knowledge into practice-specific ideas and exercises for all musicians. Subjects covered include practice goals, techniques and strategies, hearing, transcribing, playing with play-a-longs and “actual” recordings, tune memorization, self evaluation and much more. 68 pages.